(Click on each small photo for a larger view. 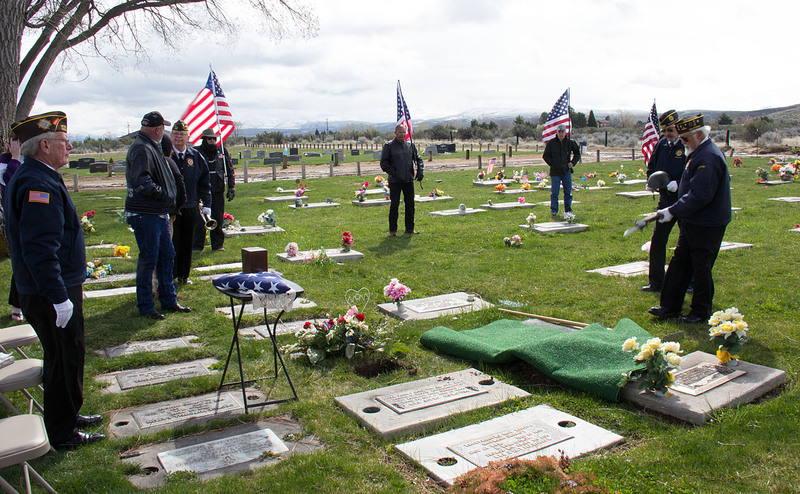 The family of United States Air Force Veteran Marius Frank Prince requested the Patriot Guard Riders (PGR) attend military honors at the Diamond Crest Cemetery in Susanville, CA. 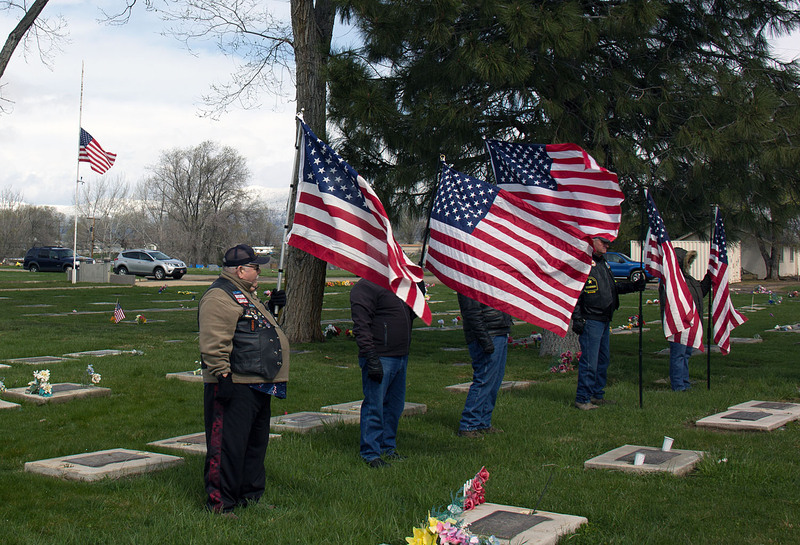 **On a cold and windy partly cloudy winter day, 10 PGR arrived to show honor and respect for our Veteran. 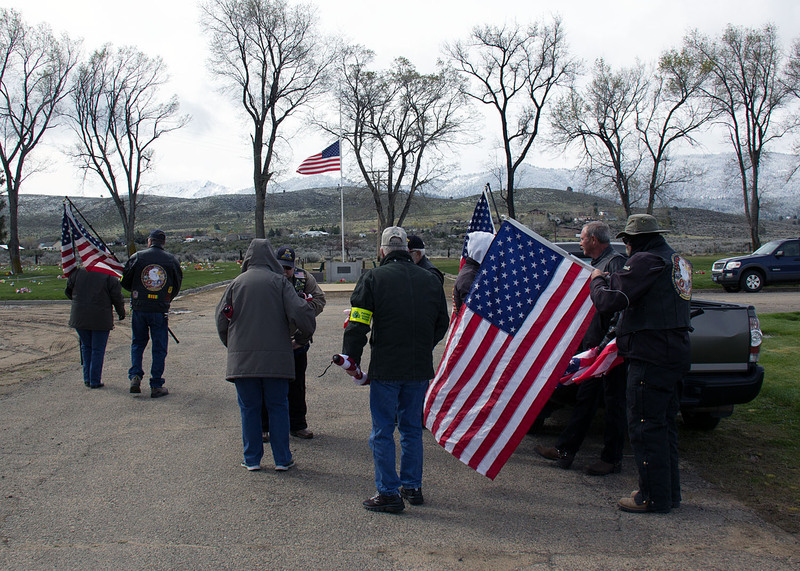 I would like to thank the 1 from Reno PGR, 2 from Modoc County PGR, and the 7 other PGR from Susanville area that braved the elements to stand firm for Military honors. Also thank the Honor Guard Team from Igo, CA who did the folding & presentation of the flag as well as played the military "taps." 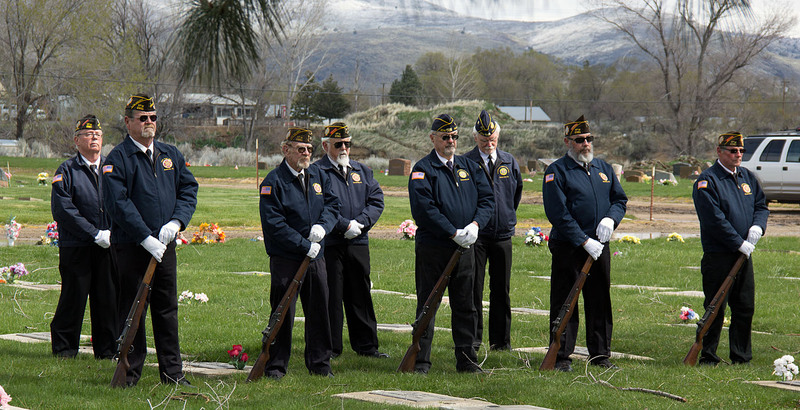 Also the local Susanville VFW color guard who executed the rifle salute. Marius Frank Prince was born August 16, 1932 in Wendell, ID to Joe and Zina Prince. He had two older brothers, Wayne and Lamar. The family moved to Herlong when Frank was 8 years old. 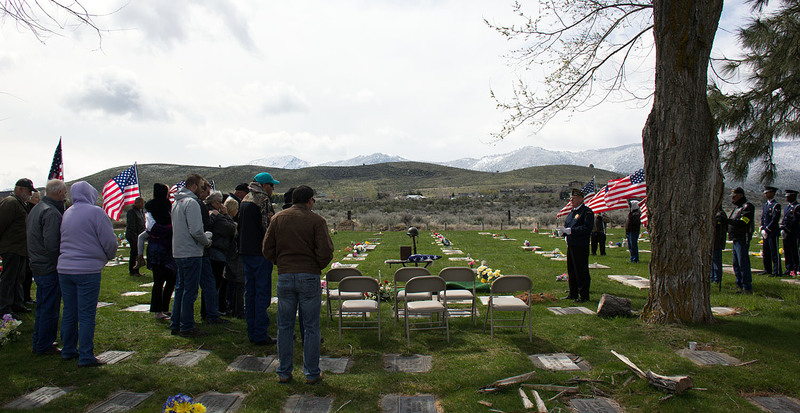 Eventually they moved to Susanville where Joe and Zina built the Wagon Wheel Trailer Park. Frank helped build the trailer park, he hand dug all the sewer lines as they didnt have the money to rent equipment to do it. Frank also worked for his Dad's trucking company, one job in particular was the building of the campground on Hyway 32 known as "Potato Patch". 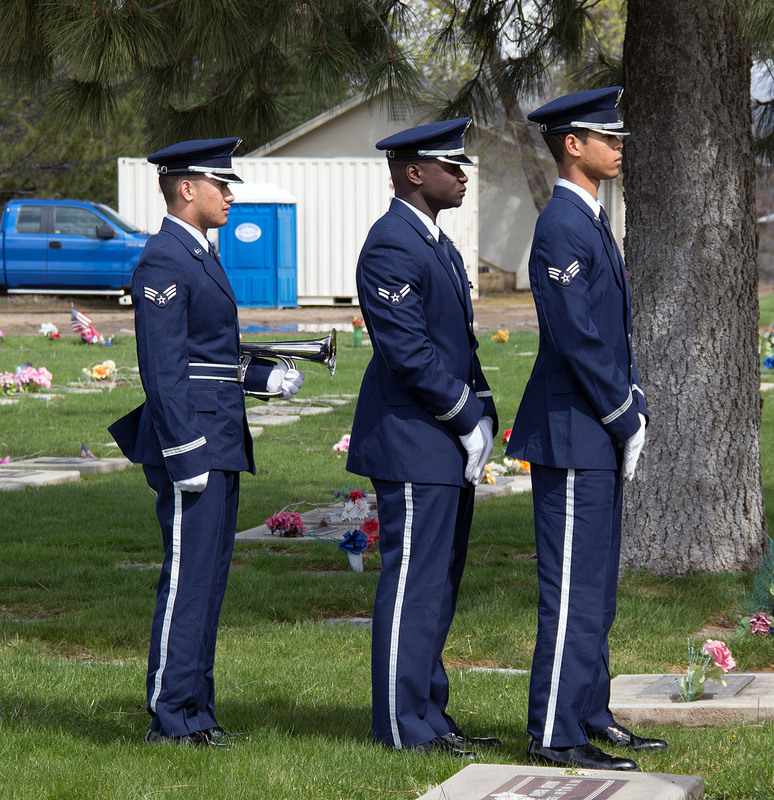 After High School he joined the Air Force. When he was stationed at Mather Air Force Base he would come home on leave. One time he was bringing his new car - a former police cruiser - while traveling on Hyway 70 he would get behind slow people and turn on the lights, which were not taken out, so he could speed by. 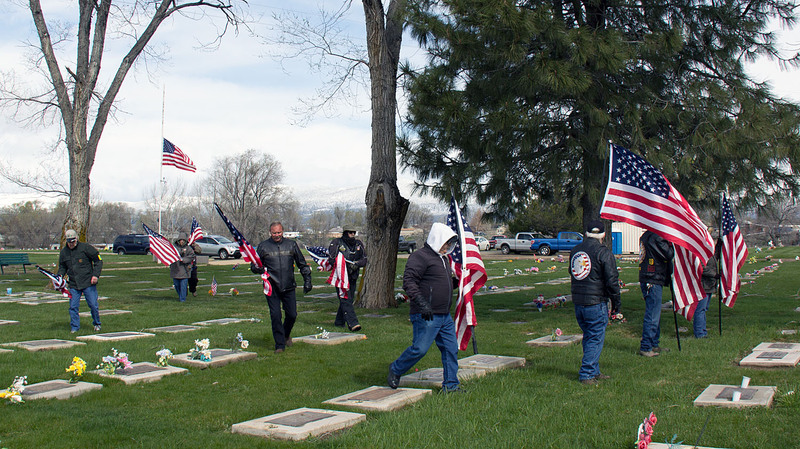 By the time he reached Susanville, an officer was waiting for him at the top of Main Street and escorted him to Doyle Motors where he was told the lights would be removed. 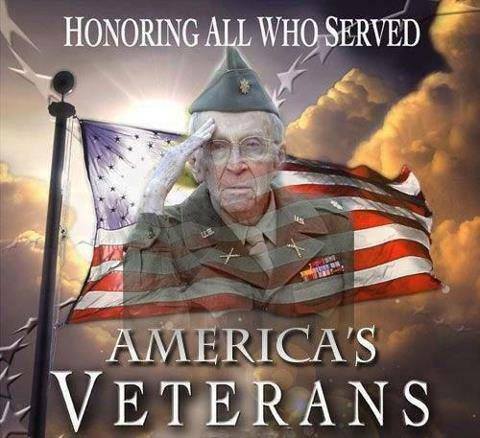 When he was stationed in Japan he fell out of an airplane and was hurt badly enough he was medically discharged. 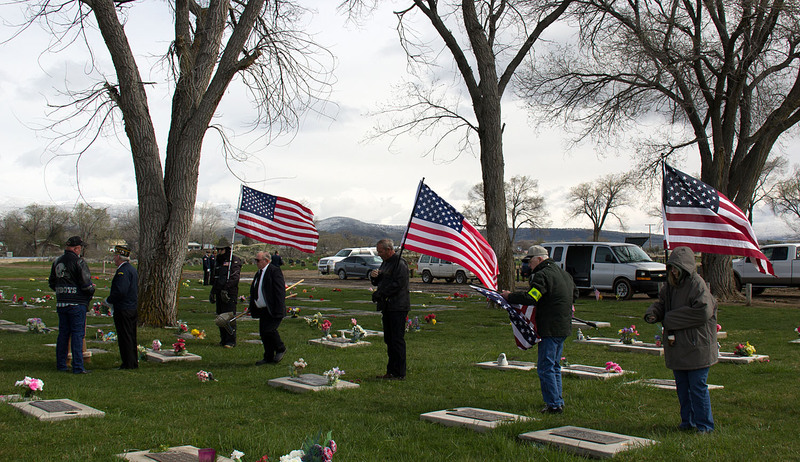 He came back to Susanville where he met Imagean Workman. They married May 30, 1958 and were blessed with three children, Cheryl, Curtis and Wayne. 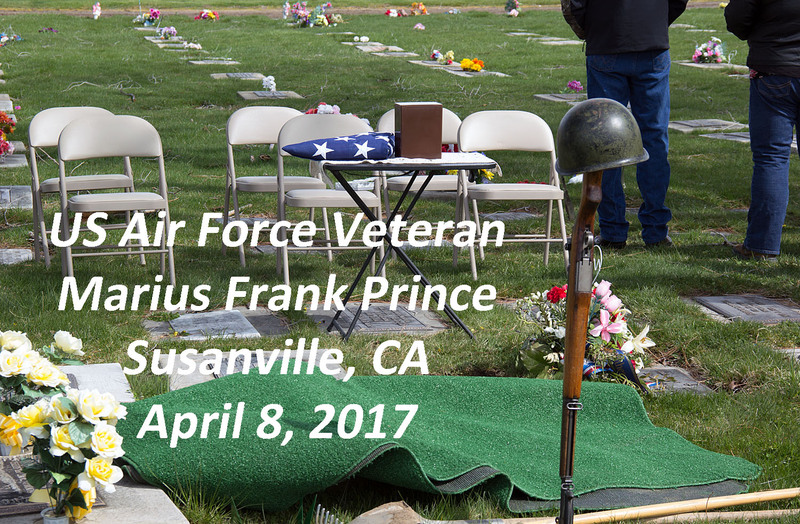 Frank worked at Sierra Army Depot for over 30 years as a heavy equipment operator. After his retirement he worked at various places: driving bus for Lassen Rural Bus; at Zurn Nepco helping to build Honey Lake Power Company; and then Walmart when it first opened as the maintenance worker or "Jack of all trades." It was there he was known as the "Bank of Frank." If someone was a little short in between paydays he would help them out. Some of his greatest pleasures were fishing at Eagle Lake, getting wood, hunting birds and deer. 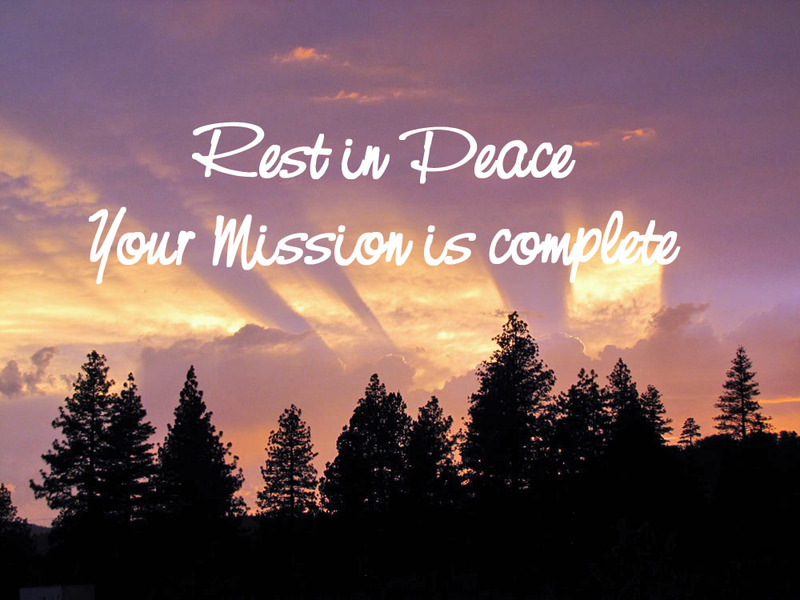 Rest in Peace.. Your Mission is complete..
Website best viewed at 1100x800+ screen setting.